Probably the most photographed and best known wreck on Islay, the wreck of the Wyre Majestic near Bunnahabhain at the Sound of Islay. This is how the wreck looked in 2000, since then it has deteriorated a lot. 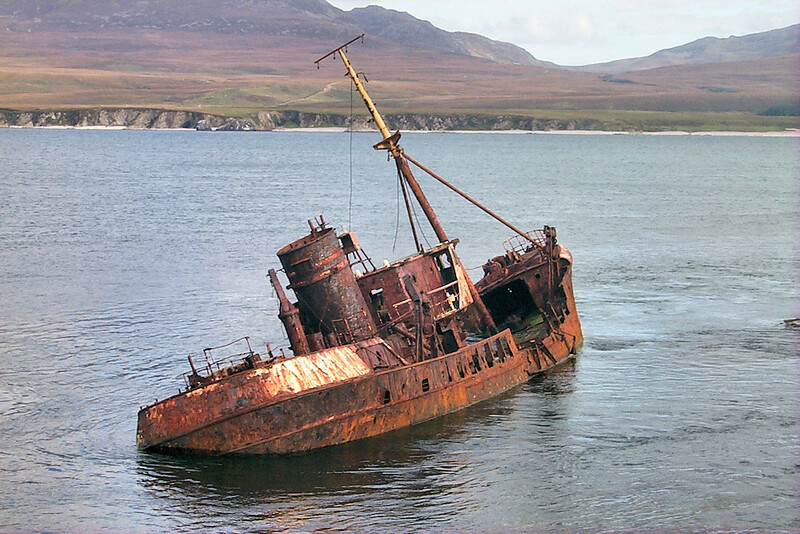 This entry was posted in Cloudy Weather, Landscape, Repost and tagged Bunnahabhain, Islay, Sound of Islay, wreck, Wyre Majestic by Armin Grewe. Bookmark the permalink.